RSVP for ou Annual General Meeting on January 25, 2017! Our 20th Annual General Meeting will be held simultaneously in Vancouver and Victoria on Wednesday, January 25, 2017. 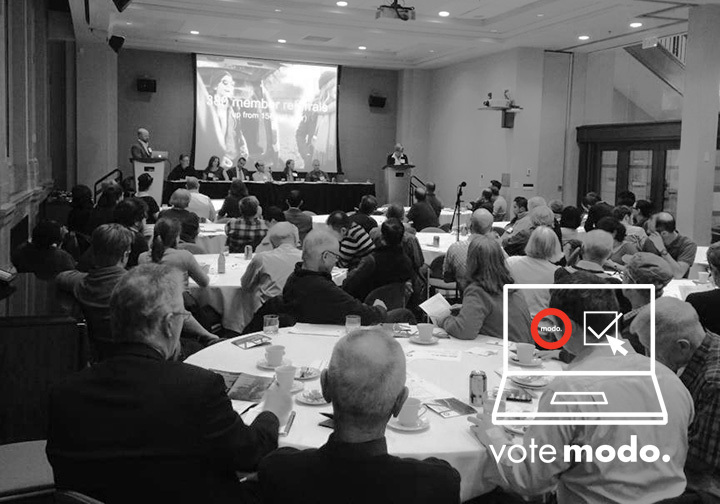 This year's AGM celebrates Modo's twentieth year in business as North America's first locally-owned carshare co-op. We'll be featuring with some special speakers and take a look back at how Modo has helped shape the carsharing industry in North America. All Modo members are welcome to attend but only shareholding members in good standing are eligible to vote. Let us know you're coming in the RSVP section below (a reminder will be sent in our January newsletter). Tips From Our Pros: Winter Ready! On the Road: Farewell, Farrell! UPGRADE at Fernwood & Johnson. A 2016 white Honda Fit (#850) has replaced the 2009 Nissan Versa. See our new locations along the Evergreen Line below! NEW LOCATION at Burquitlam SkyTrain. A 2016 black Honda Fit (#857) now lives on the north side of Smith Avenue at Clarke Road, just east of Burquitlam SkyTrain station. LOCATION MOVE at Coquitlam City Hall. Our 2015 blue Kia Soul (#694) has moved one block east to Lafarge Lake – Douglas SkyTrain. NEW LOCATION at Lafarge Lake – Douglas SkyTrain. In addition to the Kia Soul, you can also find a 2015 orange Scion FR-S (#685) on the south side of Guildford Way, just east of Pinetree Way, across the street from the SkyTrain station. NEW LOCATION at Lincoln SkyTrain. We’ve placed a 2017 grey Toyota RAV4 Hybrid (#859) on the east side of Pinetree Way, between Lincoln Avenue and Northern Avenue, across the street from Lincoln SkyTrain. NEW LOCATION at Moody Centre SkyTrain. A 2016 white Honda Fit (#848) now lives on Spring Street at Williams Street, just across from the parking lot entrance at Moody Centre SkyTrain. NEW LOCATION at Newport Village. You can find a 2017 white Toyota RAV4 Hybrid (#858) on the south side of Newport Drive, just east of Ioco Road, in front of the RBC. UPGRADE at Sapperton SkyTrain. A 2016 blue Honda Fit (#847) has replaced the 2013 Nissan Sentra. UPGRADE at Thunderbird Residence: a 2016 grey Honda Fit (#852) is replacing the 2011 Mazda 2. FOURTH CAR at Telus Garden. A 2015 grey Fiat 500 (#779) has joined the Mazda 3, BMW X1, and Fiat Abarth. UPGRADE at Tennyson Field. A 2016 grey Honda Fit (#846) has replaced the 2011 Mazda 2. NEW LOCATION at Mainwaring Substation. We’ve placed a 2013 blue Nissan Sentra (#502) on the east side of Inverness Street, next to the Mainwaring electrical substation at East 48th Avenue. UPGRADE at Denman Place Mall. A 2014 red Nissan Versa Note (#522) has replaced the 2010 Toyota Matrix. CAR CHANGE at Hamilton Square. A 2016 blue Honda Fit (#854) has replaced the 2014 Nissan Versa Note. UPGRADE at Avalon. A 2016 white Honda Fit (#851) has replaced the 2011 Mazda 2. UPGRADE at W 10th & Hemlock. A 2016 red Honda Fit (#856) has replaced the 2012 Mazda 2. UPGRADE at Napier. A 2016 white Honda Fit (#849) has replaced the 2011 Mazda 2. This year we've added over 60 vehicles with snow tires to our fleet. Plus: Check out our “Snowbound” vehicle category for the best roomy rides to get to the ski hill. 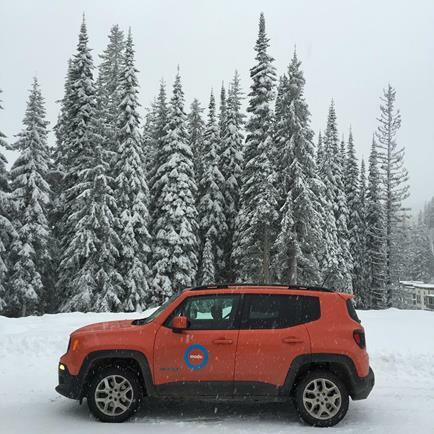 Learn how to book Modo's winterized fleet! 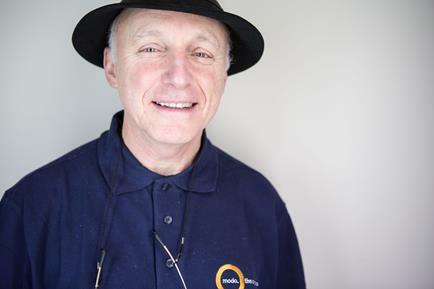 Modo's Fleet Operations Manager, Farrell Segall has taken on a new adventure and will leave Modo in December. We've asked Farrell what his personal favourite Modo moments were, looking back on almost 5 years on the road with Modo! 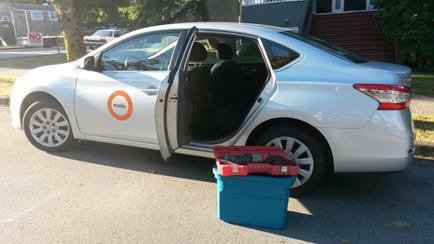 We've placed boxes for non-perishable food donations in two vehicles in Victoria, until December 27th! Donations can also be made directly at the Modo offices in Victoria during business hours. All collected items will benefit the Mustard Seed in Victoria. Will you be attending our Annual General Meeting and 20th anniversary celebration on January 25, 2017? RSVP today! Starting December 9th and ending December 29th, bookings in these cars are 10% off! >> POP A RIDE Pop (formerly HitchPlanet) is a great option if you have an extra seat in your Modo and want to save money on your trip! >> LITTLE HELPER Modo cars, trucks and cargo vans were great helpers for the Fernwood Lights event, the DOXA fundraiser gala, our members' own volunteer work, and CityStudio's Hubbub event this month! >> TAKEOVER Ambassador Nicola took over our Instagram for one week in November and shared her carsharing adventures. >> EVERGREEN We have 15 locations close to the Evergreen Extension route—find them listed here. >> TRI-CITY NEWS Our Evergreen fleet expansion was also featured in the Tri-Citiy News! >> BUSINESS TALK Modo's CEO Patrick Nangle gave a talk on ethics and responsible leadership at a Sauder School of Business event. Read his interview on the topic. >> CAR 300 Remember when we celebrated 300 cars in our fleet? Kevington Building is a Modo Business member and longterm partner, now and then! >> STAY THE NIGHT We've lowered our overnight rates until March 31st so it's easier for you to get your afterwork errands (holiday shopping anyone?) done! Modo turns 20 and we will celebrate with our members and business members in Vancouver and Victoria. Please consider travelling to our event by transit, foot, bike and/or carshare. RSVP in the section above.